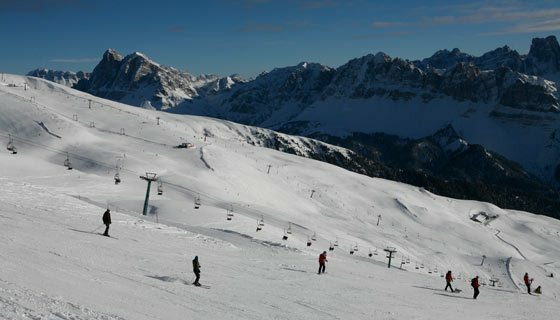 Snow and ski magic with the most beautiful views of the Dolomites! 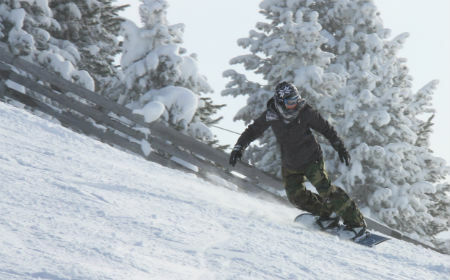 The slopes are characterized by both, good preparation and a large variety of difficulty levels. 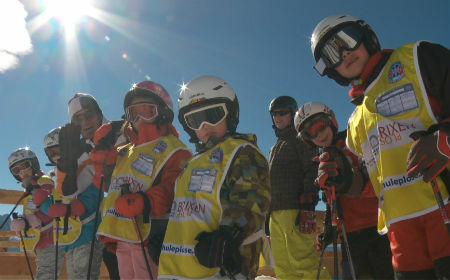 Beginners, experienced skiers and proven freestylers – there are all kinds of slopes and variations for everybody. Here below you find a list of all pistes on the Plose. 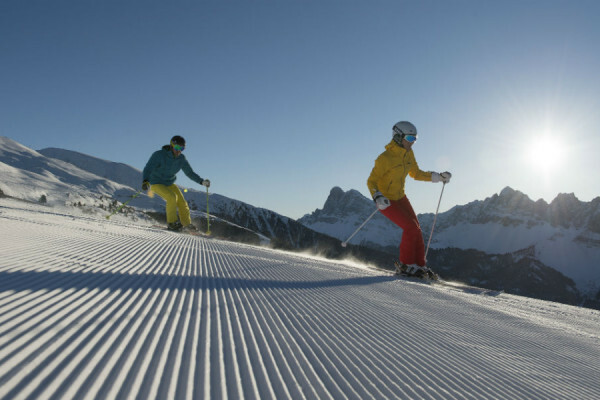 Depending on the snow and weather conditions additional variants of pistes can be prepared. These are, however, not enlisted below. 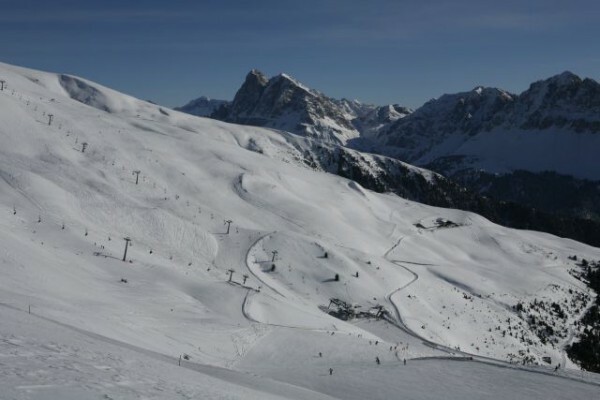 Every experienced skier will enjoy this piste, especially if he starts from Plose Hut. Starting form there a total of about 9km and a vertical rise of 1.400m lays in front you. Enjoy the whole distance from the top of the Plose mountain to the bottom station of the gondola lift (St.Andrä/ S. Andrea).The proper Trametsch slope starts right next to the top station of the gondola lift Plose. An amazing experience and worth skiing several times a day, not just at the end of your ski day. The slope starts at the top station of the chairlift Schönboden at a height of 2.317m and takes you all the way down to the bottom station of it.The slope Plose 1 is served by the chairlift Schönboden which starts in the surroundings of the top station of the gondola lift Plose. The slope itself is wide and offers an amazing scenery with spectacular views of the Dolomites. Approximately in the middle of the slope the Erler piste offers an attractive alternative with great panorama on Brixen down in the valley. 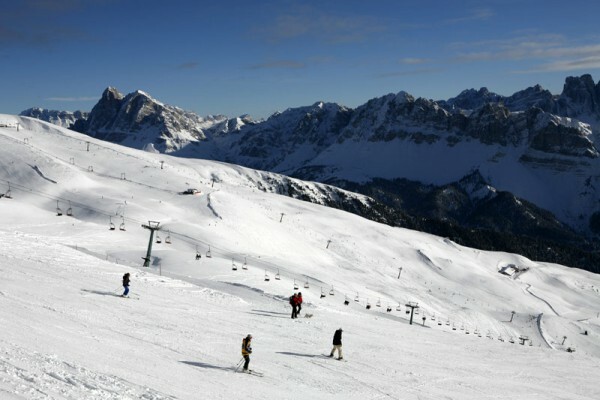 The slope Plose 2 is a short red variant slope that starts at the surroundings of a big wooden cross located below the Plose Hut and takes you to the top station of the chairlift Schönboden at a height of 2.317m. You get there by starting at the Plose Hut. The blue slope Plose 3 starts at the Plose Hut and takes you to the top station of the chairlift Schönboden at a height of 2.317m. You get to this slope by taking the chairlift Schönboden, then the slope Querfahrt and the chairlift Rifugio Cai, at least. 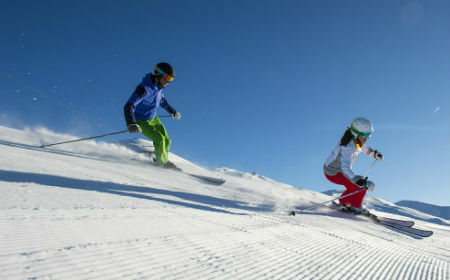 The blue Erler slope is a good option for those who like easy pistes. It also offers some very nice views on Brixen down in the valley. The large slope starts after the relatively flat part of the Plose slope and before the steeper part begins. It is the perfect alternative to that steep part. The slope is said to be one of the most beautiful in the whole area. It meanders down through the woods for about 2 km and gets a whole lot of sun, at the same time. The slope is full of curves and technically very interesting. At the end of the slope and the bottom station of the chairlift you can enter or exit the ski resort. 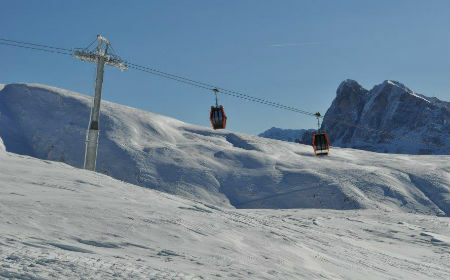 The slope runs from the the Plose Hut to the valley Station of the Rifugio Cai chairlift. 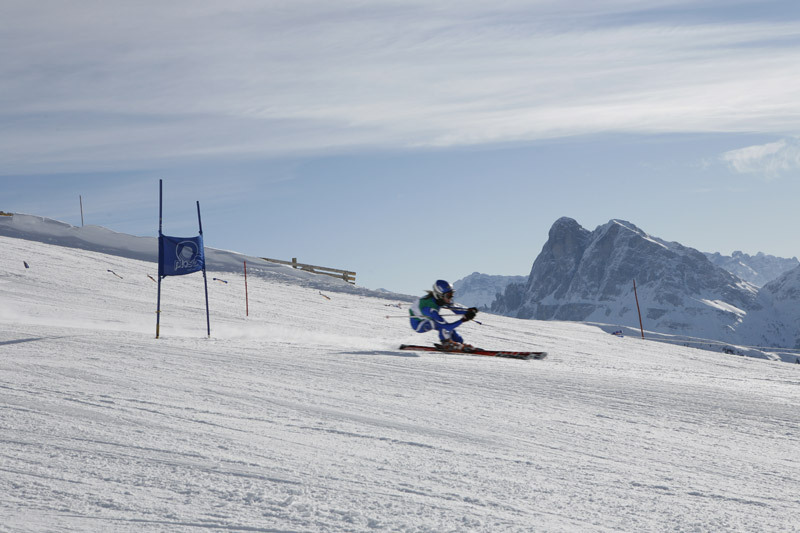 The CAI Piste is a challenge for all expert skiers. 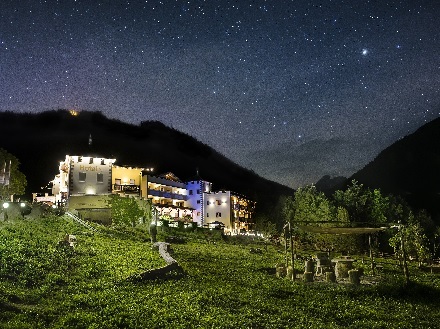 It offers a fantastic panorama and characterized by wide parts in the first part. The slope Plose Ost is relatively short but quite interesting. It starts on the Plose, is oriented southwards and ends on Monte Fana/Pfannspitze. Usually it is not too crowded. The slope Bärenloch is a very interesting piste for expert skiers, as it is short and steep. The slope is completely laying in the sun and usually not very crowded. 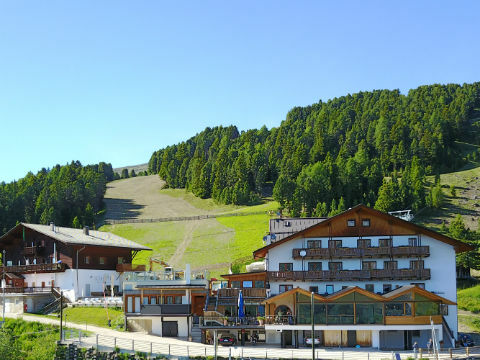 This slope connects the slope Plose with the ropeway installations that take you on top of the Plose or on top of Monte Fana. The slope starts at the top Station of the Rossalm chairlift and takes you westwards. 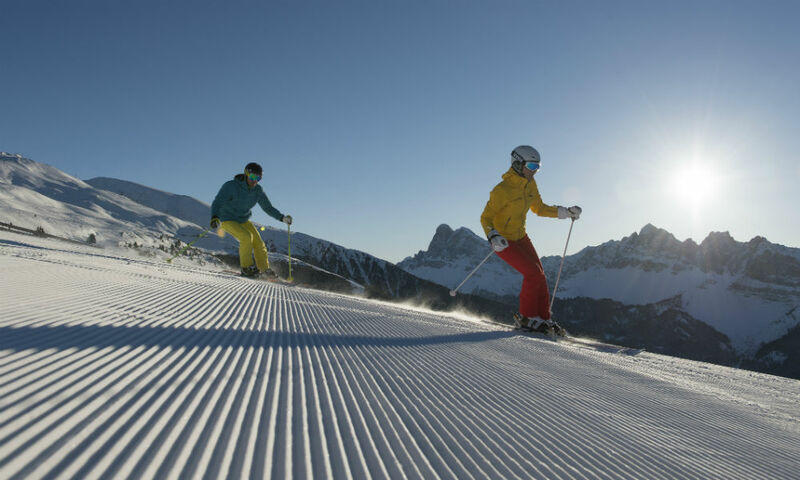 Bevor you start skiing, take a momento to admire the spectacular Panorama which, on good weather days, reaches as far as to the Dolomites and different sections of the Alps. The slope is perfect for who wants to practice his skills. At the end of the slope you may continue on piste nr. 10. or nr. 7a. Along the upper part of Monte Fana the piste nr. 10 is quite flat and very large. It offers a lot of space for big curves, indeed. The slope remains blue from the beginning until it reaches the bottom station of the 6person chair lift. 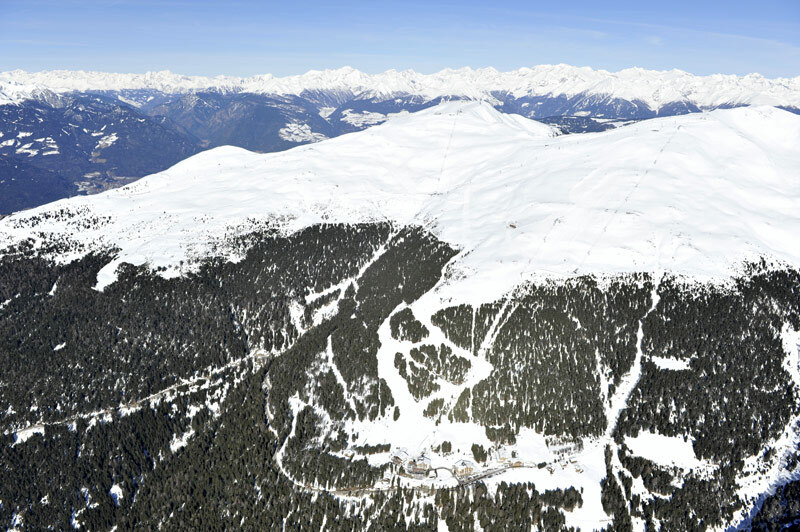 On the second half of the slope Rossalm there is a red alternative to the blue piste. 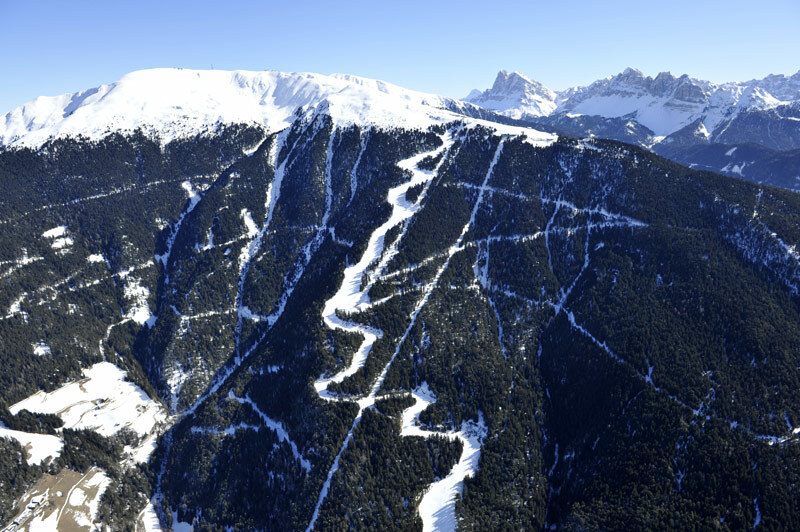 While the first part on Monte Fana is quite flat and very large, this second part is more steep and therefor more interesting for those skiers that love a challenge. The slope Pfannspitze is fun for good skiers that love red slopes. 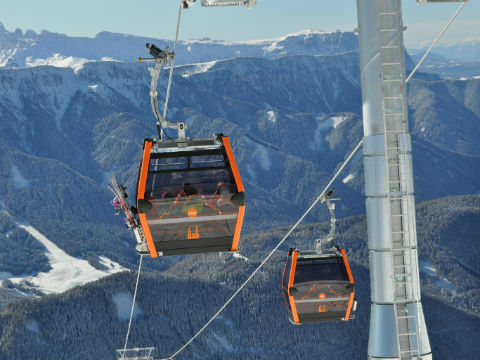 The piste starts at the top station of the gondola lift Pfannspitz and offers all way long a spectacular panorama of the Dolomites all way long. On the upper part, there is a black variant. The slope Pfannspitz 2 is the red continuation of the black piste Pfannspitz 3. It runs into the slope Familienabfahrt, nr. 12, shortly before the bottom station of the gondola lift Pfannspitze. The black part of the slope Pfannspitze is great fun for all expert sciers. It starts right below the Skihut Pfannspitzhütte. The slope Familienabfahrt starts on a hill situated above the valley station of the chairlift Rossalm, passes nearby the Hut Rossalm and leads to the valley station of the gondola lift Pfannspitze. This variant of the slope Familienabfahrt, nr. 12, starts right next to the Hut Rossalm and continues for 1.800m until it reaches the regular slope Familienabfahrt, again. 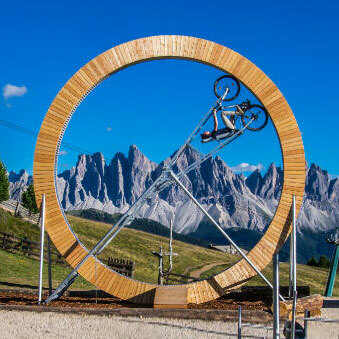 Access the beginners'slope by crossing the bridge close to the entrance to the Ski Resort. After a short skiway you get to the skiliftThese trails are very good beginner slopes as they are short, easy and gentle. There is a slope on both sides of the skilift. 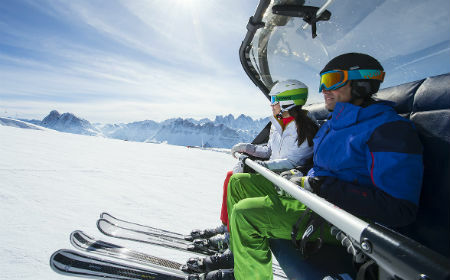 On both sides of the skilift beginners can learn the art of skiing. Access to the skilift from the bridge at the bottom station of the cable car. Follow the skitrail). These trails are very good beginner slopes as they are short, easy and gentle. There is a slope on both sides of the skilift. The practice and school slope at the Randötsch lift is ideal for the first few hours on skis. On two conveyor carpets of different lengths, you will be repeatedly brought up on the little hill. Then, when you are able to swing your first turns, you can take the ski lift a bit further up and overcome longer distances. This is also the best place for children to let off steam and play around. A small hut ensures fun even during breaks. 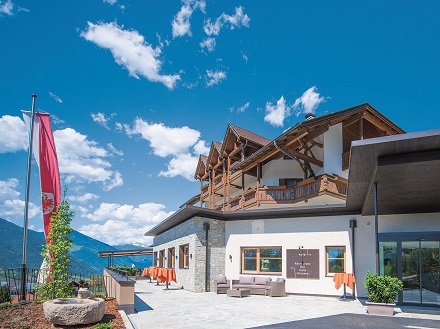 The Kinderland is at a very short distance from the valley station of the gondola lift and the parking places. The Plose has numerous simple, broad and well clear slopes. 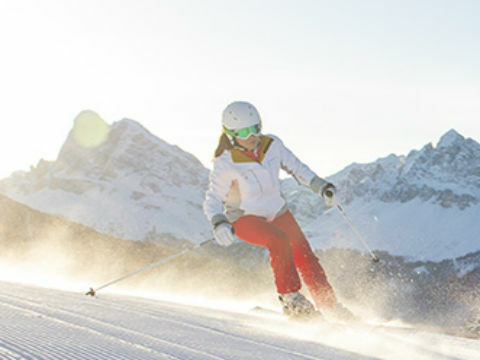 Spread over the entire ski area they promise variety and fun on almost 20km. Thanks to its great network you can explore the whole ski area on the blue runs and always discover new ways to improve your style. 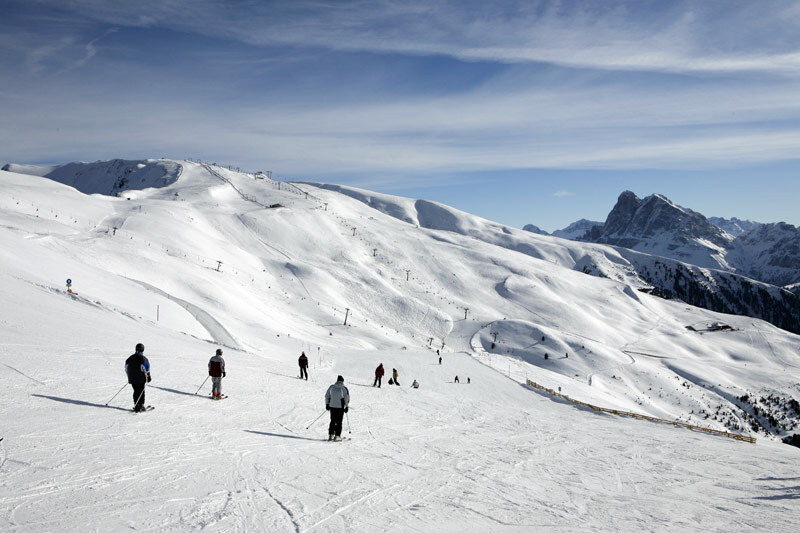 A variety of red slopes is waiting for advanced skiers who get along well with long or short steep slopes. 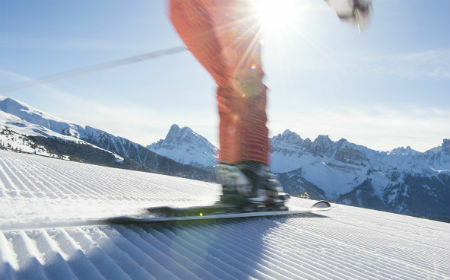 The skiers will not only find the well prepared sunny slopes and great views, but also the longest run in South Tyrol. 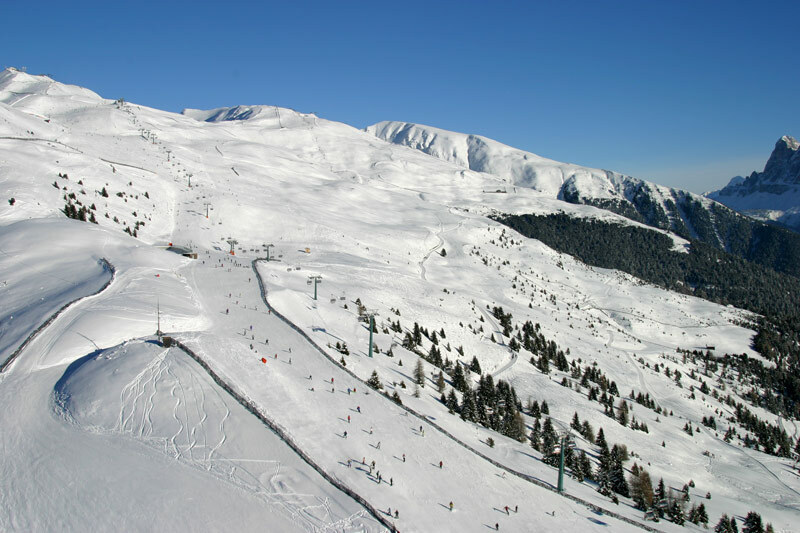 Among the black runs, the n° 6, the Neue Plose run is probably the greatest challenge. Here even really good skiers can show what they can do. The black runs require a certain level of technique and good physical condition, offering, on the other hand, great ski moments. 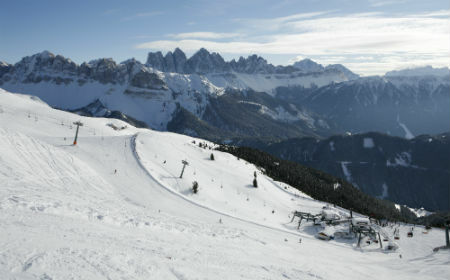 The Trametsch, with its 9 km length and 1,400 m height, is and will remain a personal challenge for any skier. In any case the Trametsch is too great to be tried only as way back to the valley station in the evening.